Review: I absolutely love the vibrant colors of this design… it’s eye catching and beautiful. I did, however, have a few issues with the shirt itself. I am very “gifted” up top (I am a G cup) and have a bit of a belly (vegan food is delicious, what can I say? ), so I ordered this shirt in a 2XL. The picture on the website looked like it was made of a stretchy fitting fabric, so even if it was too big, it would look fine. 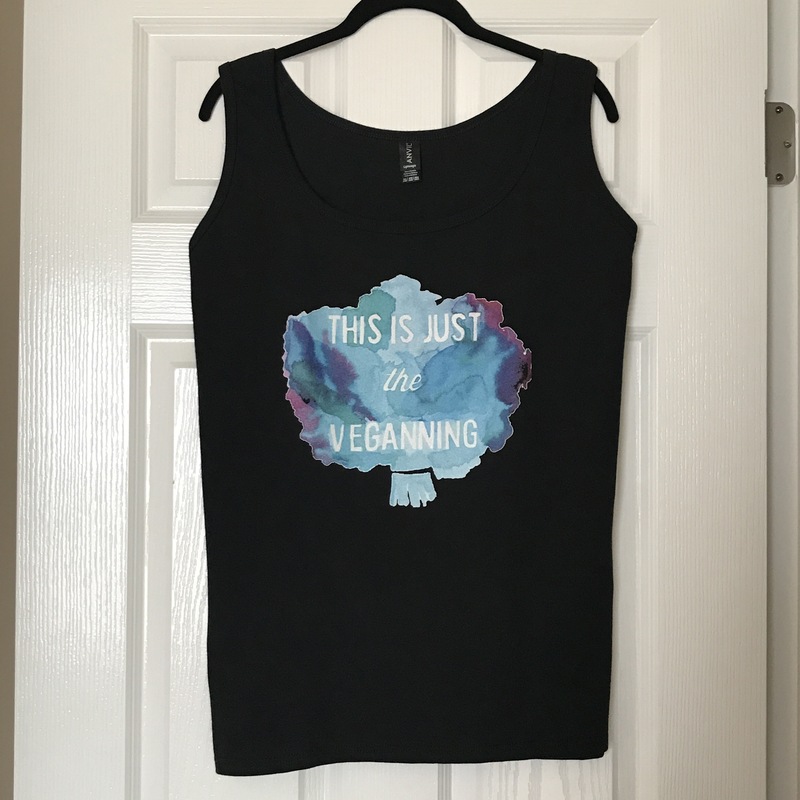 Well, the tank top arrived, and it felt and looked like it was made of a normal, thick Tshirt fabric. I tried it on and it fit loosely and was very comfortable. To test it out, I threw it into the washer and dryer. It shrunk a little and the color faded slightly, so definitely wash it in cold water and dry on low! The fit of this tank top was not what I expected, but I still enjoyed wearing it. I have to wonder if there was difficulty making the shirt in the 2XL size and they simply altered a regular Tshirt as a solution. This is a new company with cute and unique designs. The prices are reasonable and they offer sizes S – 2XL, making this a size inclusive brand. 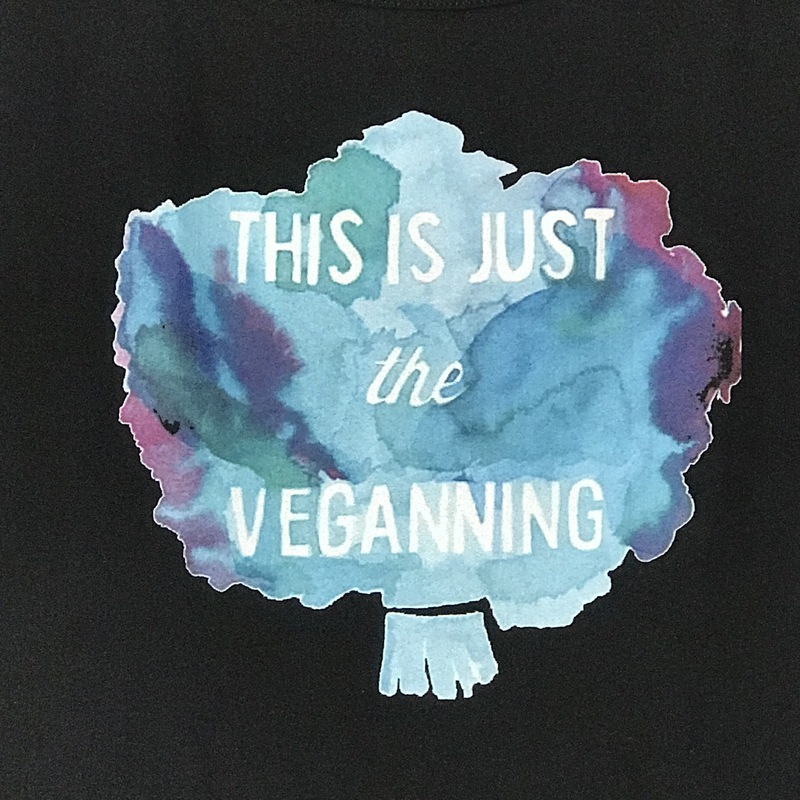 I would gladly order a shirt from them (this one one sent to me for free), perhaps in a smaller size or I would reach out to Customer Service to ask questions about the fabric and fit.